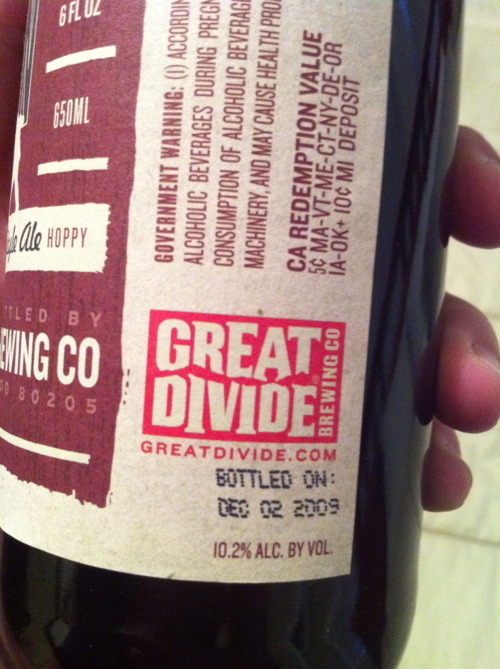 Great Divide: Great Beer, Great Customer Service | Drink. Blog. Repeat. Great Divide Brewing Co. has been one of my favorite breweries since I became passionate about craft beer. Their Yeti series brought me over to the dark side and showed me there was much more to stouts than Guinness (ugh), and the rest of their regular brews and seasonals have really impressed me. I’ve had most of their catalogue, but there are a few that I haven’t picked up yet, including their Old Ruffian barley wine. There’s plenty of it around here both in and out of season, but I had never picked up a bottle until a few weeks ago. I put it in my cellar and decided I’d crack it open sometime down the line. While rearranging my cellar – read: closet – a couple weeks ago, I was checking out some of the bottles and noticed the bottle of Old Ruffian I picked up was bottled on Dec. 2, 2009. 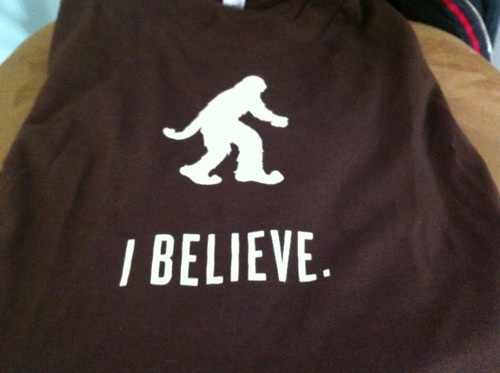 Two things crossed my mind: 1) Awesome. I snagged 2-year-old bottle of awesome barley wine. 2) This thing has been sitting on the top level of a store shelf for more than two years. Later that afternoon, I received a reply from someone in GD’s quality assurance office thanking me for letting them know. They said they would get in touch with our local distributor and try to get some fresher stuff on the shelf. This is a great example of customer service. In addition to clearing up the problem, they wanted to make sure the customer was left happy, which I definitely was. I’ve heard this is sometimes the MO of craft brewers – to give consumers some type of compensation if they’re not pleased – but I wasn’t looking for a handout by emailing them. As a fan, I just wanted to make sure fellow drinkers got the best experience. So, cheers to Great Divide and all the folks that work there.